My daughter has always been a picky eater. As long as I can remember, it has been a struggle to get her to try new things, and it is really frustrating. 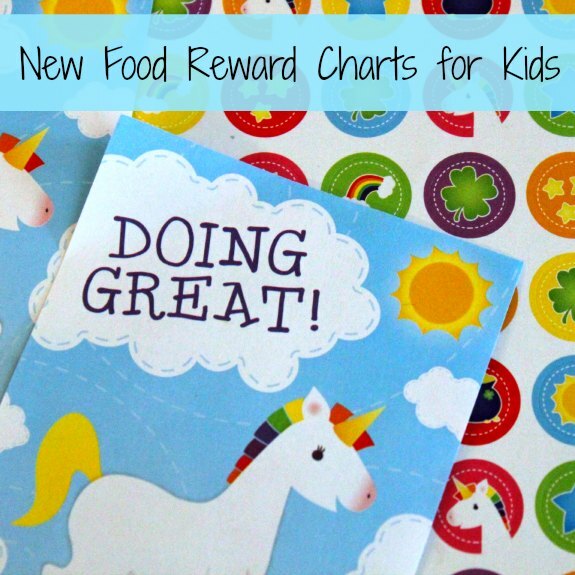 We decided to try a rewards chart for every time the kids tried a new food, and it has been wonderful! There are many different ways to create a rewards chart. You can buy a basic rewards chart, print a basic reward chart online, or make your own. It can even be a simple list – for example, when your child reaches 10 new foods, they get a pre-determined reward. It doesn’t have to be fancy. For example, keeping a list or a paper where where your child can put a sticker each time they eat a new food. You can designate a number of foods that your child has to try before getting a reward. You may also want to create some rules about the food chart and reward system before you set it up. For example, your child may have to eat a whole serving or a certain portion of the food to earn their reward. If you have multiple children, you might have to create different rules for different kids. For example, my older daughter is a really adventuresome eater, so it is a challenge to figure out new foods for her to try. An alternative could be that they eat more fruits and veggies, eat a ‘rainbow’ (all colors of veggies), replace dessert with fruit, or any other positive goal you wish. Another tip is to actually write down each food your child tries as you fill up the chart. Honestly, I can’t always remember what the new foods were, or if let’s say I’m not home when my husband feeds the kids, he can look at the chart and know what foods have already been tried. This is a great idea to get kids to eat healthy foods. I realize a majority of kids are super picky when it comes to eating. Now this is an awesome idea for reward charts, it is amazing how the little things can really help make a difference to chidlren. So good to hear an idea that has been tried and tested! I don’t think we should force children to eat foods they do not like but asking them to at least try them, absolutely! This is such a cool idea. I am all about trying new things and food is very important to try new things for kids so this is perfect! This idea is good! We have the reward system. My niece can eat a certain dessert if she will finish her food. I think we need to chart for it. What a great idea to encourage trying new foods. I am going to try this with my 5-year old. My kids are grown so I will have to pass this on to my sister and youngest cousin who have little kids. It would be nice for young children to learn more about the food they are eating, and to make healthier choices soon. This is a great way to encourage children to eat more especially when it comes to fruits and veggies! If you make it fun, the kids are always game for it!